If you do not see answers to your questions here, please email us using the Contact Us page or phone our helpful Customer Services Team on freephone 1800 169 052. I'm accessing this site from outside Australia, can I still place an order? If you have a good idea of exactly what it is you're after, try typing keywords into our 'Search" field to locate the product, e.g. type in 'towels' to find all the ones we have. Some shoppers prefer to 'browse the shelves' and you can also do this online by selecting from the menu of departments and categories on either the top or the left-hand side of the page. We feature a wide range of information about our products, including size guides where relevant. Click on any item to bring up a page giving further details that will help you to decide if it's right for you. If you still have further questions, you are welcome to email us using the Contact Us form or call our contact centre on 1800 169 052. 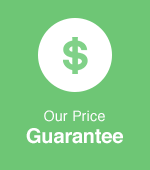 Remember we have a 30 day money back returns policy. Think of it as the online version of a shopping basket. It's where you put your items until you are ready to make your purchase. At any stage in your visit to this site click on 'View Cart' to see its' current contents. You can remove items or change the quantities (you may for instance want to buy more than one pillow!). Enter your Billing Address — this is the address that is associated with the card that you are using to purchase. Enter your Delivery Address — this is where the items ordered will be sent. Use the "Search" box to quickly narrow down your search to identify exactly the right items. Also, create an account with us for your first order and your billing and delivery address details will not have to be repeated for subsequent orders. Of course you will still have the opportunity to change these details or add further delivery addresses at any time. This information will remain confidential to Briscoes. I'm accessing this site from outside Australia. Can I still place an order? Yes, but only if the delivery address is within Australia. If you wish to purchase in New Zealand please visit our NZ website: http://www.briscoes.co.nz. We do not currently ship outside of New Zealand and Australia. For online shopping with Briscoes, we accept the following credit cards: Visa, MasterCard, American Express, Diners Club and Masterpass. We do not accept any other forms of payment, including Briscoes Gift Vouchers, Eftpos, cheques, direct credit or cash on delivery. The merchant name that will appear on your statement will be ‘Briscoes’. 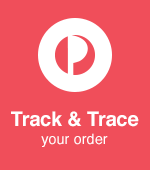 You can easily check on the progress of your order by logging onto this site using your email address and password and clicking on 'My History' to see its current status or by logging onto our Courier's website and utilise their Track'n'Trace facility. 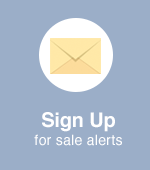 We'll also notify you by email when your order is dispatched. 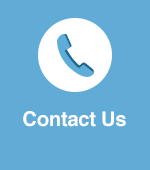 You can also contact our Customer Services team on 1800 169 052. You may cancel your order any time before it’s left our warehouse by contacting our Customer Services team on 1800 169 052. Once it’s left us, it will need to be treated as a return – please see our Returns page for further details on how to complete this process. We currently offer a $9.95 delivery charge for all online orders. Special offer periods may apply. To find out about these and other special offers, you can sign up to our newsletter. 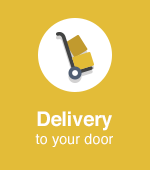 We aim to deliver within 5-10 working days (Monday–Friday) of you placing your order, however on occasion certain items may be temporarily out of stock. If this happens, you will receive an email to advise of the expected delay time. 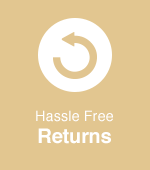 You can return any product you buy from us for a full refund or exchange within 30 days of receipt, no matter what the reason. The product must be returned in its original condition with supporting paperwork and appropriate packaging. To return product(s) please contact Customer Services on 1800 169 052 and we will advise you on how best to return the goods to us.